“FILO (First In Last Out) is a gathering of the staff and volunteers that serve as technical artists for their local church. FILO provides an opportunity to connect with the community, develop skills, and equip technical artists to be the even greater contributors to their local church, and to spread the Word. We look forward to seeing you at Booth 7. 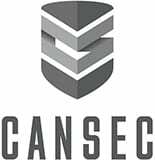 CANSEC, Canada’s largest defence show, is hosted annually by the Canadian Association of Defence and Security Industries. This event showcases cutting-edge technologies and services for land-based, naval, aerospace, and joint forces military organizations. The Israel Defense & HLS Expo (ISDEF) is an international showcase for innovative leaders in defense and security. This 10th edition will feature the latest developments and solutions for the military, police, special forces, HLS organizations and cyber community worldwide. 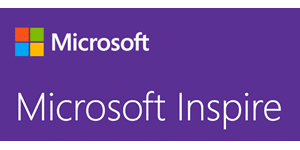 Microsoft Inspire is an opportunity for Microsoft partner community to connect and develop new ideas. With their partners together, Microsoft is able to share their plans for the upcoming year, and the innovations they will be focused on, which in turn helps to inspire new developments from the partner community. 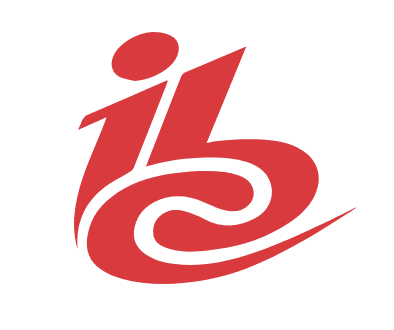 IBC is the world’s most influential media, entertainment and technology show for members of the broadcast industry. Six leading international bodies​ ​are the partners behind IBC, representing both exhibitors and visitors. Come network with fellow professionals, learn about the latest developments in broadcast technologies, and discover new solutions to help broadcasters evolve and meet the needs of their viewers. Defence and Security Equipment International is an annual event held in the United Kingdom, attended by leaders in defence, security, and related technologies. Organizations and governments from over 50 countries convene to discover new developments in the field, share knowledge, and explore new innovations. NAB New York is an opportunity for some of the top minds in media, entertainment, finance, and advertising to connect and discover the latest innovations in content strategy and broadcast technology. Much like its Las Vegas counterpart, NAB New York hosts a variety of exciting speakers and cutting-edge demonstrations. Demuxed is a gathering for engineers who are passionate about video technology. Leaders in the video technology industry gather to exchange ideas and discuss new developments. The focus of Demuxed is typically on content delivered over the web, but the event also features important discussions on encoding, playback, and other related topics. 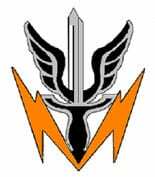 The Shadow Warrior Association, a non-profit, private organization created to honor the legacy of the 112th Signal Battalion, hosts an annual tech expo. This event is an opportunity for leaders in ISR technologies to showcase their developments and products to premier communications experts affiliated with the American military. Come see us at Booth 36. NAB Show is the world’s largest digital media and entertainment show, hosted by the National Association of Broadcasters (NAB). Each year, NAB Show attracts digital media and entertainment professionals from around the world, to network with like-minded professionals, learn from fascinating sessions, and discover the latest in media technologies. Come see us at Booth SU6714 to learn about the latest in video streaming technologies and how we can help your contribution workflows. Sponsored by Microsoft and Haivision, join video experts from Fox News Channel, Haivision, MediaKind, Red Bee Media, The Broadcast Bridge and TV Globo as they share how broadcasters are leveraging the SRT protocol for low cost live contribution and distribution workflows. This free session is open to all organizations interested in learning more about how SRT enables broadcasters to deliver high quality, reliable, low latency video over low cost Internet connections. Learn about real-world SRT implementations from panelists who will share their experiences of implementing SRT workflows, noting both strengths and ideas for improvement. Join service providers and broadcasters – featuring Al Jazeera, Avid, Haivision, Microsoft and Net Insight – as they discuss today’s challenges of accelerating the production of breaking news and delivering live events using cloud services. This panel session will feature Microsoft Azure ecosystem partners as they discuss their challenges and how SRT addresses them. Hear how broadcasters are using secure real-time internet-based connections to fuel broadcast cloud services so that their production processes can stay competitive with the speed of social media. Come see us at North Hall Room N234-236. Featuring SRT Developers from Bitmovin, Deluxe, Gogo and Wowza. This free session is designed for current and future SRT developers and will outline the applications and workflows that SRT solves, the technical roadmap, and implementation stories. Broadcast and streaming solution providers will discuss why they use the protocol, the challenges and benefits, and recommendations for progressing the technology for future development. Come see us at North Hall Room N250. AFCEA provides a forum for military and government communities to connect with leaders in the technology field to develop new strategies and solutions. The theme of this year’s exhibition in Bonn is “Smart Leadership Support in the 21st Century” – come learn how the right ISR solutions provide better support for leaders and decision makers. LAAD Defence & Security is Latin America’s premiere international exhibition for leaders in the defence and security industry. This event connects companies specializing in technology, equipment, and services for military, police, and private security organizations. Come see us in Hall 4, Booth O.35. The China Content Broadcasting Network Exhibition (CCBN) is the largest broadcasting technology and equipment expo in the Asia-Pacific region, attracting exhibitors and professionals from around the world. It features both an exhibition floor as well as technical and business conferences, allowing industry leaders to showcase the latest in broadcast technologies. Come see us in Booth 2104. Join our series of global events featuring leading video streaming and broadcast video experts as they discuss the latest SRT open source developments and new Haivision 4K technologies. Come see us at Stand B45.